There is a lot of attention on eating disorders, especially with young girls. It is estimated that 50 percent of teenage girls indulge in unhealthy activities in order to lose weight or to prevent weight gain. This is a drastic increase when compared to previous decades. The spotlight on eating disorders, unfortunately, seems to shine largely upon females. The frightening truth however is that 30 percent of teenage boys also use drastic measures to reduce their weight. 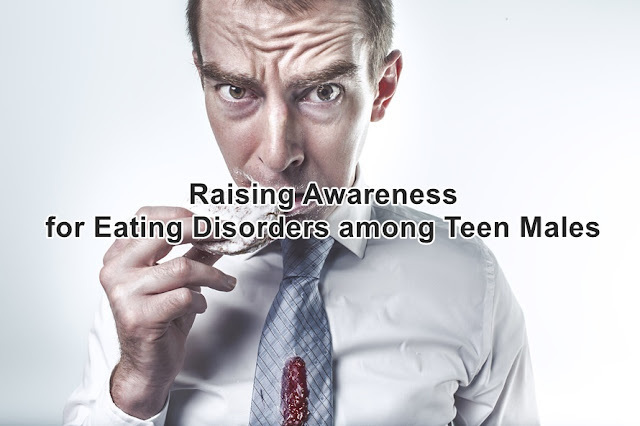 Eating disorders are typically considered to be a ‘girl’s’ disease. Many are under the mistaken belief that it is an affliction that only affects females. Even more worryingly, there are many medical experts who are still unable to diagnose anorexia or bulimia in young boys or men. This is why it is difficult to find eating disorder treatment for men in the medical community. One of the reasons for this is the different expectations that society places upon males and females. For instance, in the fashion industry women are always portrayed as being extremely skinny. It is desirable to be a size zero and very lean. This, however, is not the case for boys and men. They have traditionally been urged to be bigger and buffer. It is all about going to the gym and building muscles. This concept of ‘larger’ leads many people to believe that males cannot develop an eating disorder. This, unfortunately, is where they are mistaken. The need to be more physically desirable is often a gateway to unhealthy eating patterns in males. This means that the symptoms may differ from those seen in females. This, however, does not exclude these behaviors from being indicators of a mental disorder. With young men, it may typically begin with exercise and cutting calories to get the ideal body. In certain instances, this can progress. It will develop into exercising constantly, even past the point of exhaustion. They will also begin to limit their calories to a dangerous low number. One of the components of this type of mental illness is that the sufferer cannot perceive that their behavior is unhealthy. They are also unable to notice the drastic changes that their bodies are undergoing. For instance, a young man with a skeletal physique may still see himself as overweight or not good enough when he looks in the mirror. This only serves to push themselves harder to get the body that they still think they need to achieve. They do not see their actions as unreasonable or unnecessary. The only thought they are able to focus on is how much exercise they need to do and limiting their calories. There needs to be a greater awareness about the potential threat that many young men are facing. It is only then that this disease can be avoided. Society needs to be made aware that this is a public health nuisance. This will encourage more people to seek the help that they so desperately require. It will also help friends and loved ones to be able to spot the signs of this terrible disorder. This will go a long way in preventing and curing this mental illness.